The patented Key-System from Enswico is a unique syphon technology to operate urinals without water. Replacing water with technology translates into an enormous worldwide water saving potential. The Key-Valve E, consisting of the Key-Valve and the Key-Ring®, seals the drain opening to prevent the emission of odors from the drain without using water or other sealing liquids. This component has a lifespan of minimum 7500 uses. Our Key-Valve® M provides safe, long-lasting, low odor performance. 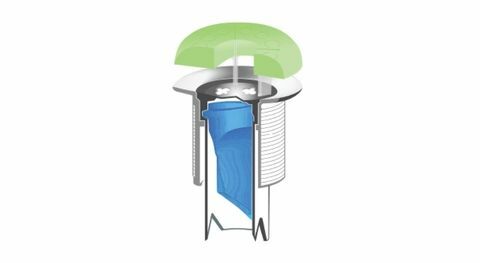 Falcon waterfree urinals save yearly up to 100 000 litres of water per urinal and reduce your cost of fresh water supply. Since the introduction of the Key-Valve® M technology, there have been many improvements incorporated into our design that sets our cartridges apart from the rest. 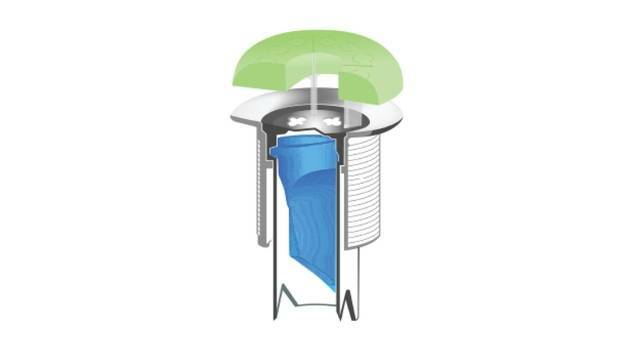 Retrofit Capable: Our Key-Valve® M can retrofit an existing flush urinal to function waterfree. Tried and Tested: Our technology has passed rigorous backflow certification testing and meets DIBt code standards as certified by TUV.